Please contact us at info@medicaldoctorsunion.org with all comments and suggested links! Please include your name, email, title, organization, and phone if interested. 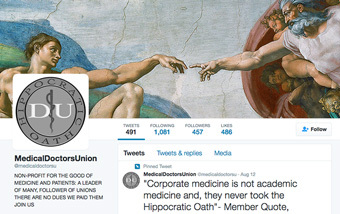 Interested in sponsoring the Medical Doctors Union? For information, please email us. Medical Doctors Union is a non-profit for the good of medicine and patients.